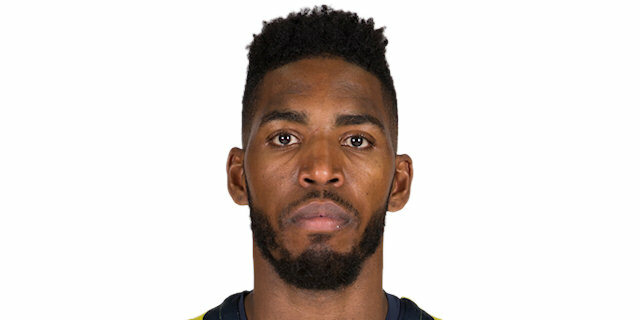 Fenerbahce Dogus Istanbul recorded a bittersweet win by downing Baskonia Vitoria Gasteiz 79-74 at Ulker Sports Arena on Friday. 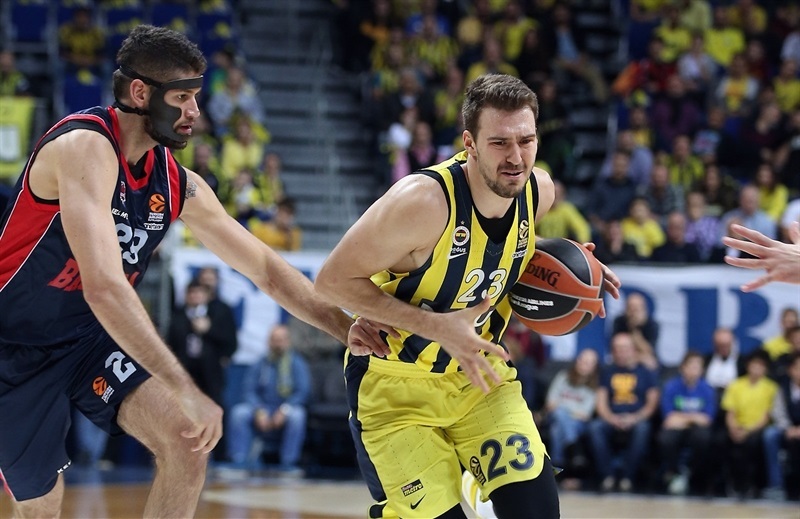 Fenerbahce improved to 10-6 in the Turkish Airlines EuroLeague standings but the reigning champions lost James Nunnally due to a bad fall after a dunk which sent him out of the game on a stretcher. Baskonia dropped to 7-9. Marko Guduric led the winners with 18 points. 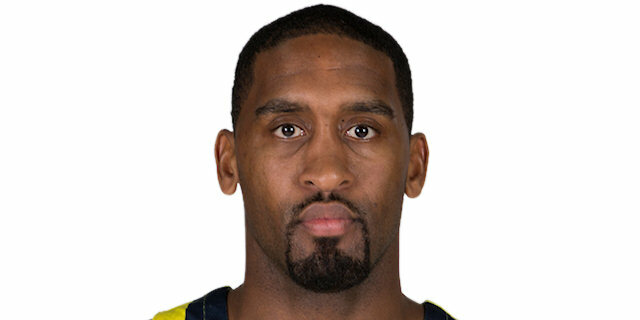 Brad Wanamaker added 16 while Jason Thompson had 12 and 10 rebounds for Fenerbahce. Toko Shengelia led Baskonia with 15 points. Johannes Voigtmann added 11 while Timma and Matt Janning each had 10 for the guests. 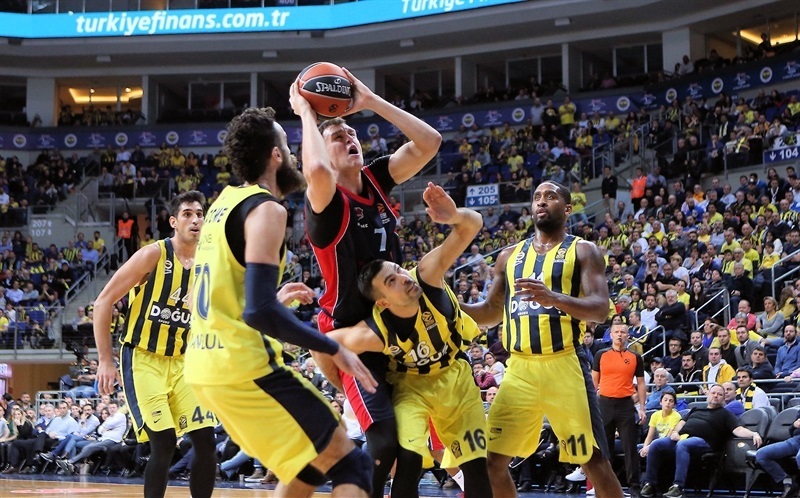 A 6-0 run which Jan Vesely capped with an alleyoop slam gave Fenerbahce a 18-12 lead late in the first quarter. Baskonia answered with a 0-10 run which Janis Timma capped with a buzzer-beating three-pointer for get a 18-22 edge after 10 minutes. Luca Vildoza struck from downtown for a 21-29 Baskonia lead but Wanamaker and Guduric brought Fenerbahce within 36-38 at halftime. Wanamaker got help from Vesely and Nicolo Melli to give the hosts a 53-50 edge soon after the break. A three-pointer by Janning gave Baskonia its last lead, 58-59, late in the third quarter. 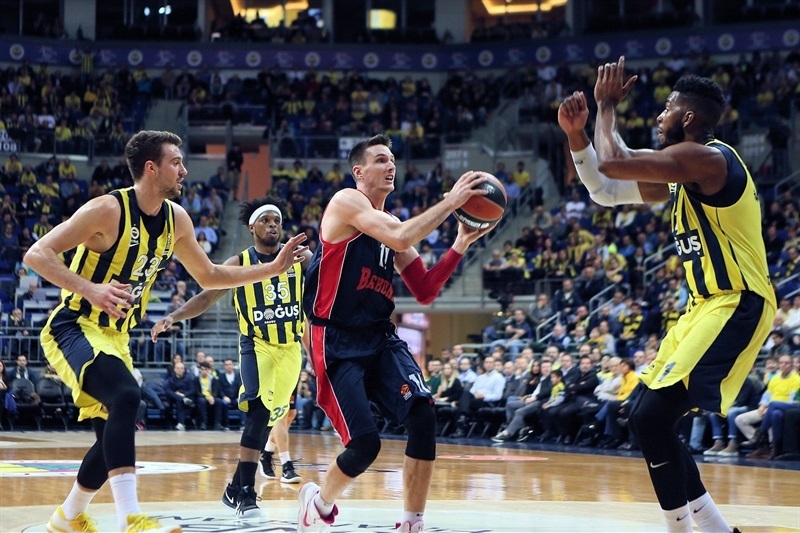 Wanamaker and Melli gave Fenerbahce a double-digit lead, 73-63, which Baskonia cut to 75-73 in the next-to-last minute. Free throws by Guduric and a driving layup by Wanamaker allowed Fenerbahce to put the victory on ice. Ali Muhammed hit a triple and Thompson added a jumper to give Fenerbahce an early 5-2 lead. Janning struck from downtown and back-to-back layups by Shengelia and Vincent Poirier put Baskonia ahead for the first time, 8-9. 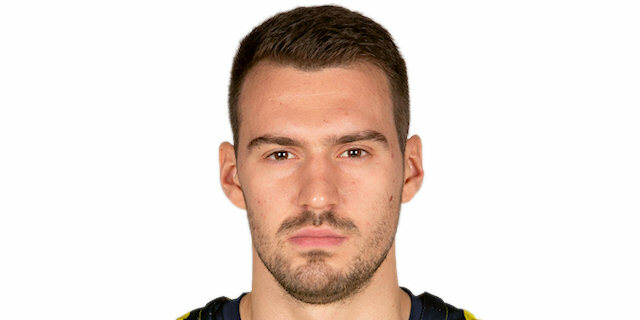 Thompson followed a layup with a tip-in, getting help from Nicolo Melli and Guduric to restore a 16-12 Fenerbahce margin. 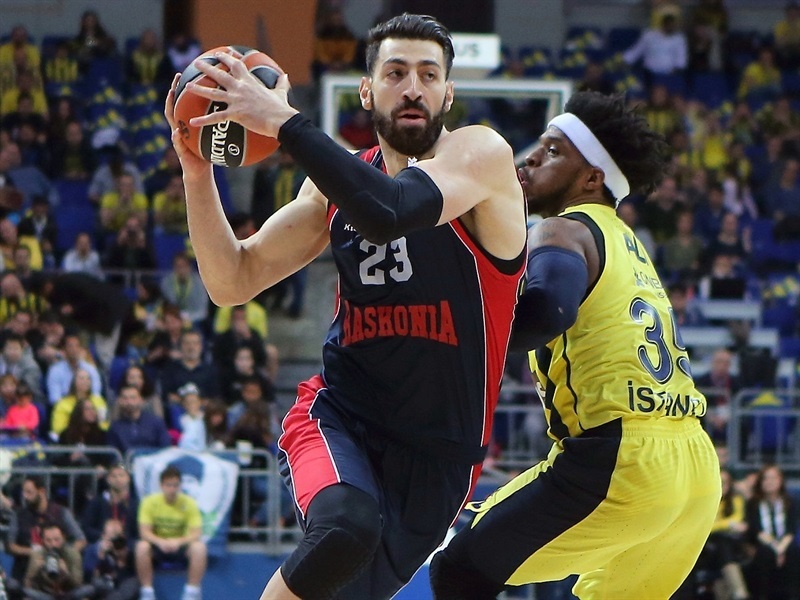 Vesely dunked but Jayson Granger and Shengelia fueled a 0-10 run which Timma capped with a buzzer-beating triple to give Baskonia a 18-22 lead after 10 minutes. 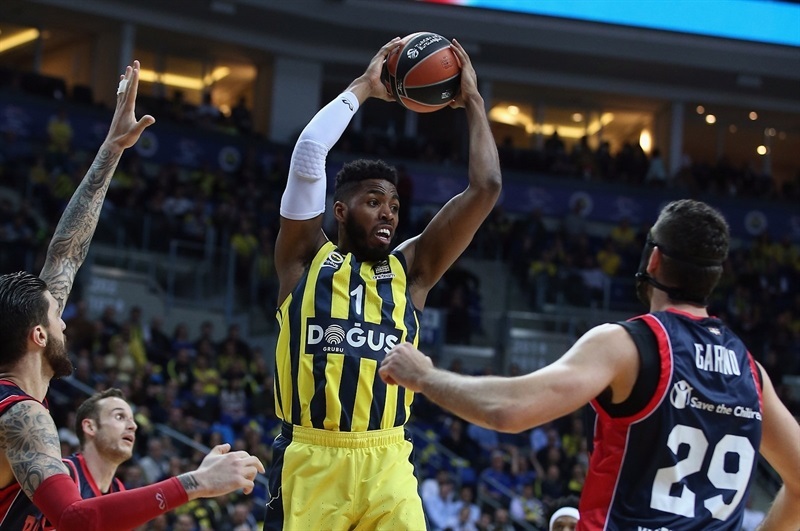 Vesely, Kevin Jones and Voigtmann scored down low early in the second quarter and Vildoza struck from beyond the arc to make Fenerbahce call timeout at 21-29. Wanamaker hit a triple, Guduric added a jumper and a layup-plus-foul by Thompson brought Fenerbahce within 29-31. Janning buried a three-pointer, Patricio Garino added a reverse layup and Voigtmann scored again but Wanamaker and Guduric kept the hosts within 36-38 at halftime. Three-pointers by Guduric and Sinan Guler put Fenerbahce in charge, 42-41, soon after the break. 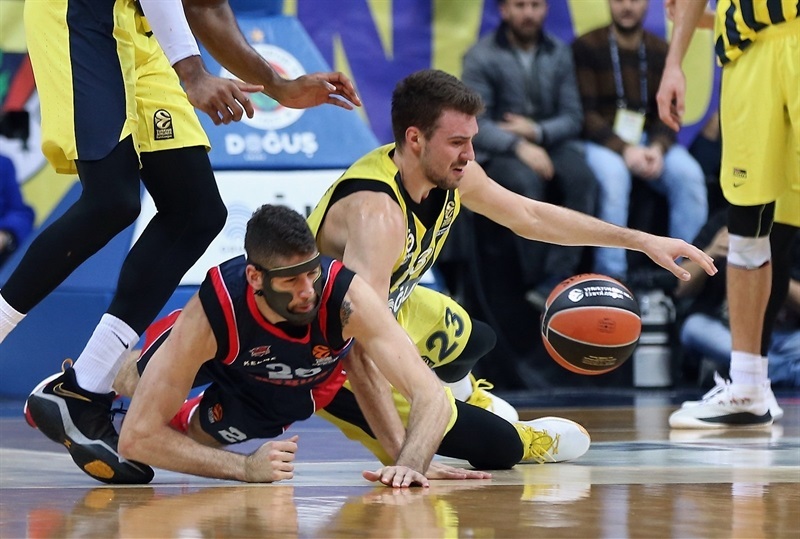 A dunk by Poirier ignited a 0-6 run which Shengelia capped with free throws but Vesely slammed it off a steal and three-pointers by Melli and Wanamaker gave Fenerbahce a 53-50 edge. 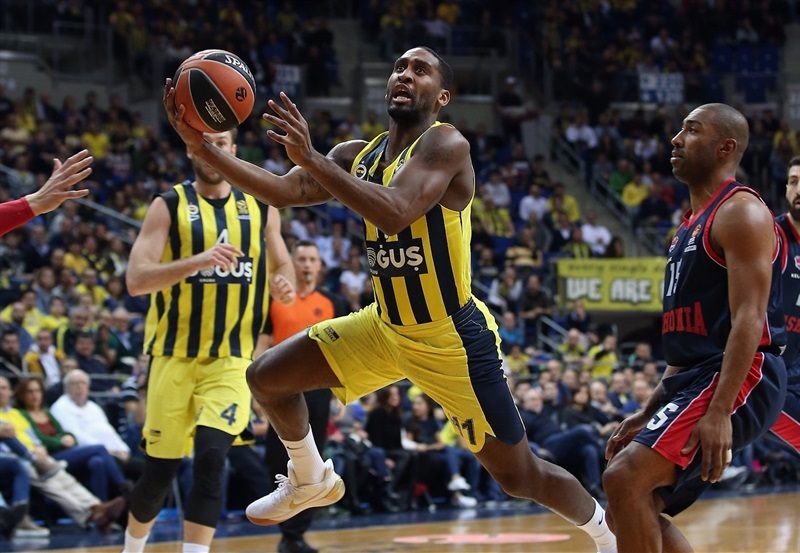 Rodrigue Beaubois stepped up with four unanswered points but Wanamaker answered with a three-point play and a dunk by Nunnally - who left the game on a stretcher due to a bad fall - put Fenerbahce in charge, 58-59. Janning and Melli traded triples and a layup by Kostas Sloukas gave the hosts a 63-59 edge after 30 minutes. Sloukas hit free throws and an outstanding Wanamaker forced Baskonia to call timeout, 70-61, with over seven minutes left. Poirier dunked, Timma added a put-back layup and a jumper by Granger gave Baskonia hope at 73-67. Wanamaker hit a jumper but Voigtmann and Timma struck from beyond the arc to make it a two-point game, 75-73. Guduric hit free throws and a driving layup by Wanamaker sealed the outcome with 47.6 seconds left. 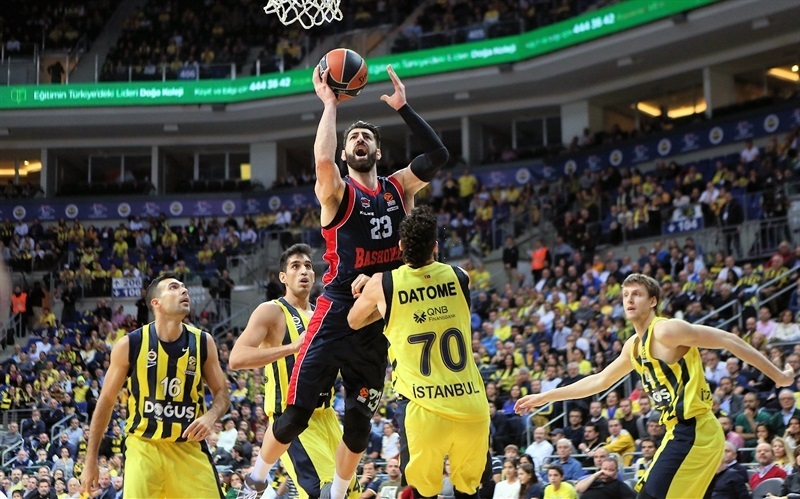 Both teams return to EuroLeague action next week - Fenerbahce visits Valencia Basket on Thursday while Baskonia hosts Olympiacos Piraeus on Friday. "If you want to play defense, of course, you need to foul. 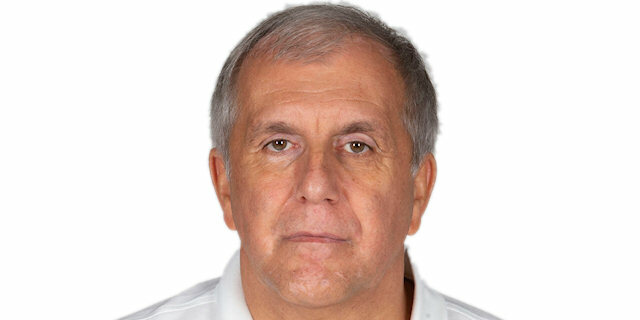 It is something that it is a very big help to the players. Being smart at using fouls is something very, very important. The second half was an absolutely different picture. The problem was at the end of the game, we were 10 points up and didn't know how to handle this situation. We alowed them to score two easy three-point shots. This is something we must improve as a team if we want to be a high-level team. The last information right now [about James Nunnally] is that he is in the hospital and he is fine. Jan Vesely had an Achilles's Heel problem in the same moment of the game and we will know more about it later on tonight. It happened in the same moment of the game, two very important players. It is tough, really tough." "First of all, I hope that Nunnally will be alright. I pray and expect that it was not an important injury and that he can come back to his team as soon as possible. I think we played a good game, moving the ball well on offense, especially in the first half. For me, Fenerbahce's offensive rebounds made the difference, especially in the second half. They had second options and we didn't box out in a perfect way. I am happy with my team's mentality, trying to win until the end in a very difficult court with a great atmosphere, against a very good team." "It is a good to get a win at home and take care of our home court. 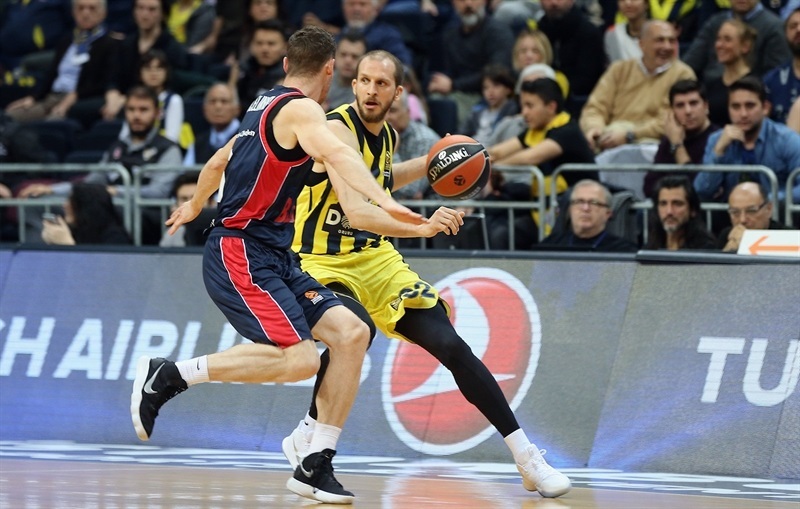 We got off to a good start and have to find ways to keep consistency on both ends of the floor, especially when it got emotional, when a fellow teammate James [Nunnally] went down really hard, and also Jan [Vesely]. We kind of took that as a team and lifted everyone's games up to come out with a victory. With the fans' support, we came out with a W."
"It is a very important win for us. Like I said before the game, we needed to protect our home court, especially after the last couple of games in which we played bad. We needed this win and I am glad that we were able to get it. I hope we are going to continue and get a winning streak going. 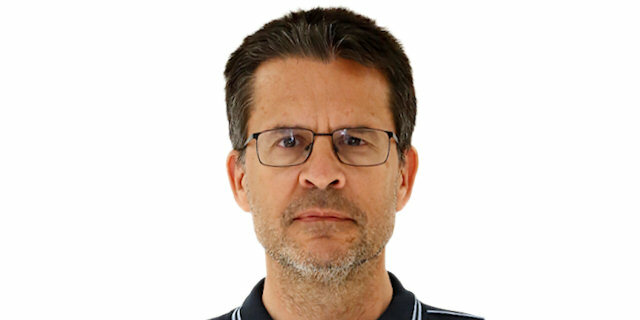 James [Nunnally]'s injury was very scary, we were all in shock, but he is well, I was told, and I hope that everything is going to be fine." "Mixed emotions. James [Nunnally] went down hard and I am hoping to see what happens. It was a good team win and a good way to bounce back at home, but our prayers are for James. We responded in the second half. We wanted to win for him. We were tough and battled. They are a tough team and came here with the mindset to win. We bounced back but the game had two different halves. First half, we were not ourselves and second half, we were a little more aggressive. There is work to be done, we still have to improve, but it was a good win."